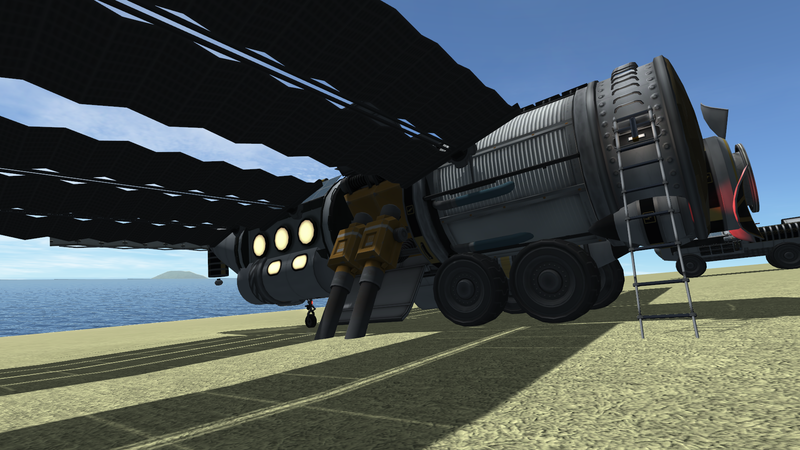 A stock aircraft called Cargo mate 8M Exo Exploration Trailer. Built with 110 of the finest parts, its root part is strutCube. 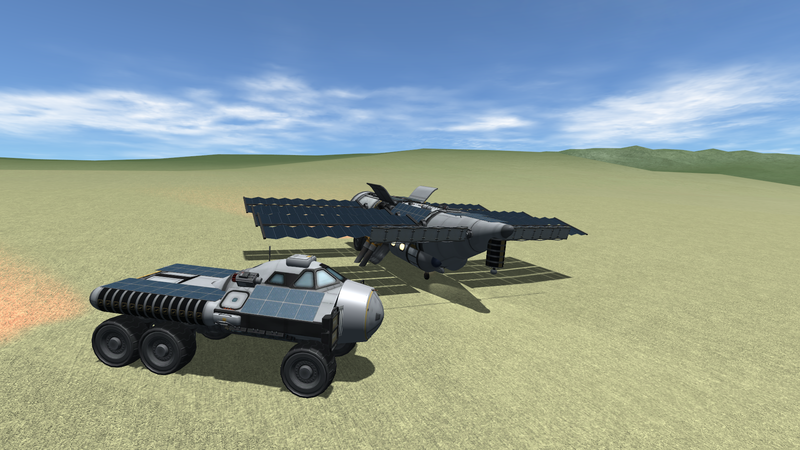 A complete mobile base, including a Lab, all the experiments, habitation and a whole fuel refinery. Intended to be used with the Cargo-mate-8M-tractor. 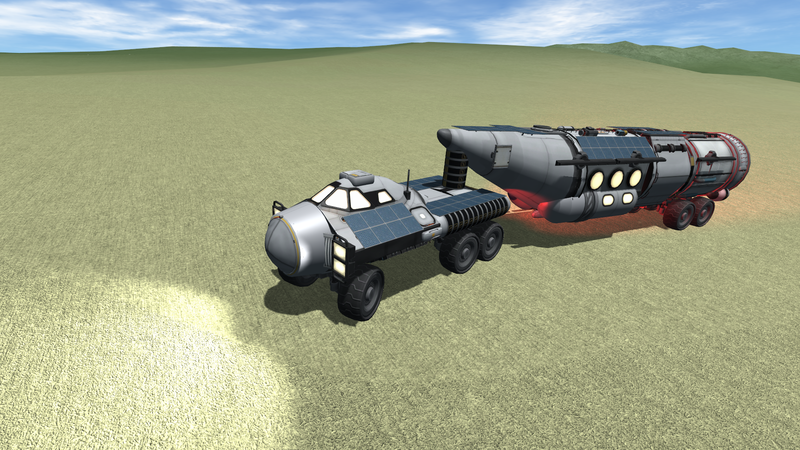 In order to attach both vehicles, the trailer’s gear must be deployed. Switch to the tractor and deploy the elevons in the back. Move the tractor into position so the linear RCS port is aligned with the thermometers. Retract the elevons again and you are good to go.